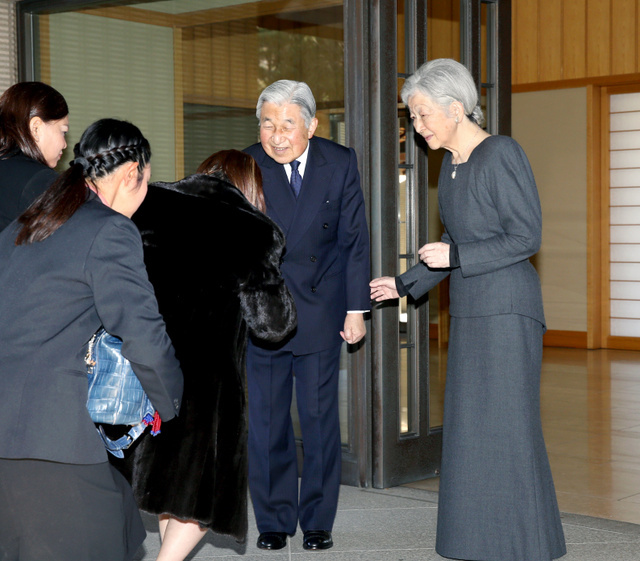 On 25th December, HM Emperor Akihito and HM Empress Michiko held the luncheon for HRH Princess Chulabhorn of the Kingdom of Thailand at Imperial Residence. 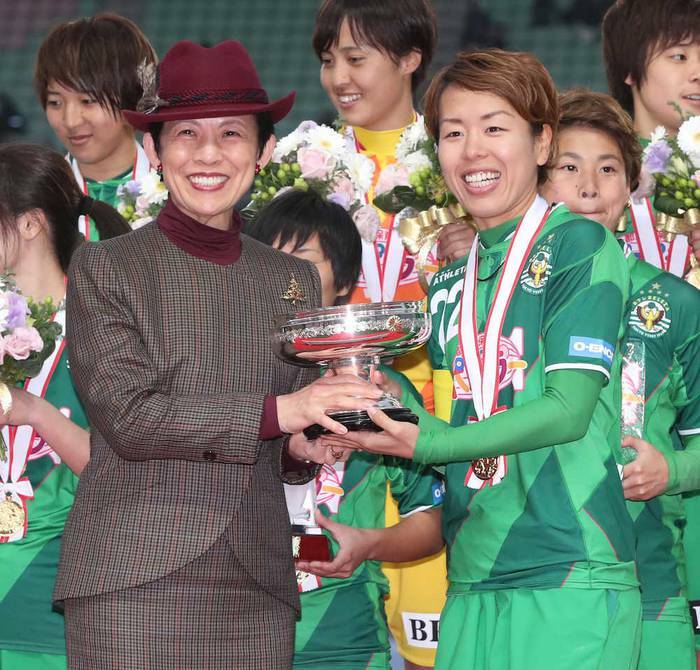 On 24th December, HIH Princess Hisako attended the Final of the 39th Empress’s Cup Women’s Football tournament took place in Kanagawa Prefecture as the Honorary President of Japan Football Association. 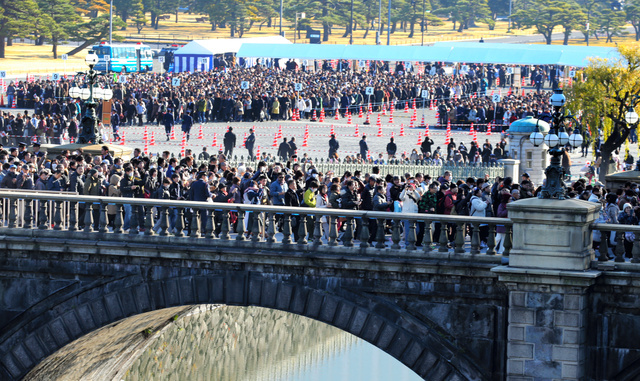 On 23rd December, the ceremonies to celebrate the 84th birthday of HM Emperor Akihito took place at Imperial Palace. 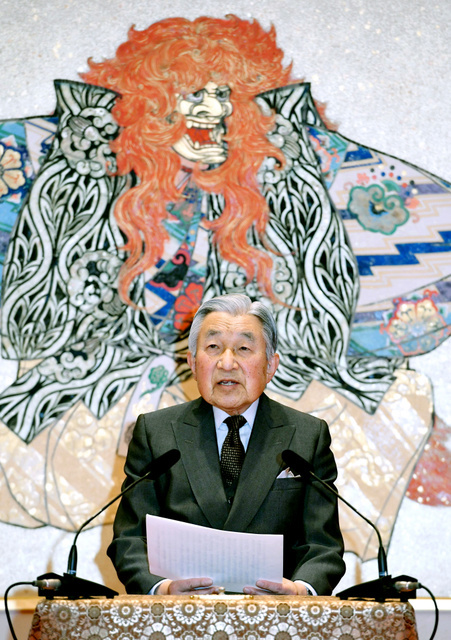 On 23rd December, HM Emperor Akihito turned 84 years old. 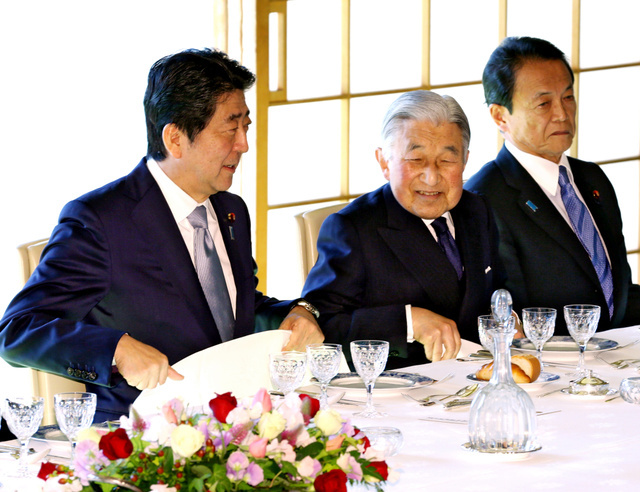 On the occasion of the birthday, HM Emperor Akihito attended the Press Conference took place at Imperial Palace. 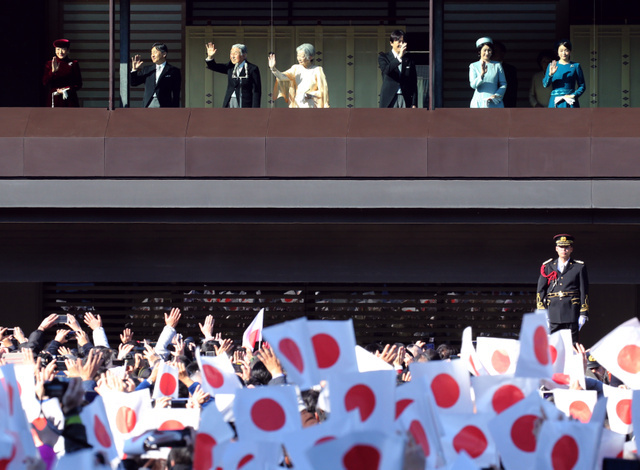 Over the past year, Your Majesty engaged in various official duties in Japan and overseas, including a state visit to Viet Nam, a visit to areas affected by the torrential rains in northern Kyushu, and visits to three remote islands in Kagoshima Prefecture. 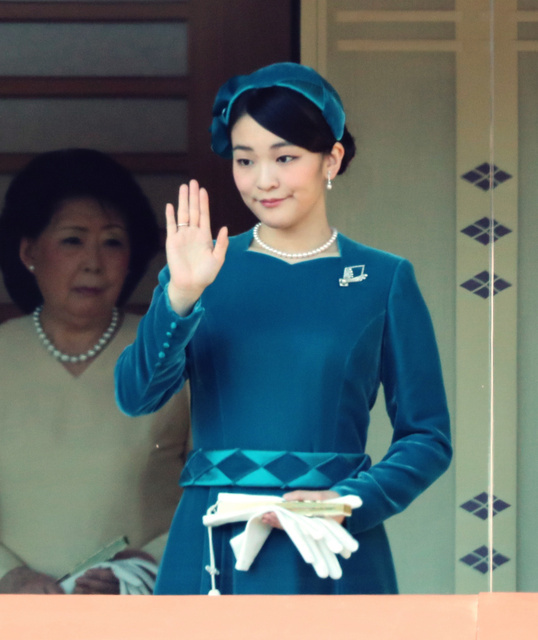 In June, a special law was enacted to allow for Your Majesty’s abdication, and in September, the informal engagement of Your first grandchild, Her Imperial Highness Princess Mako, was announced. 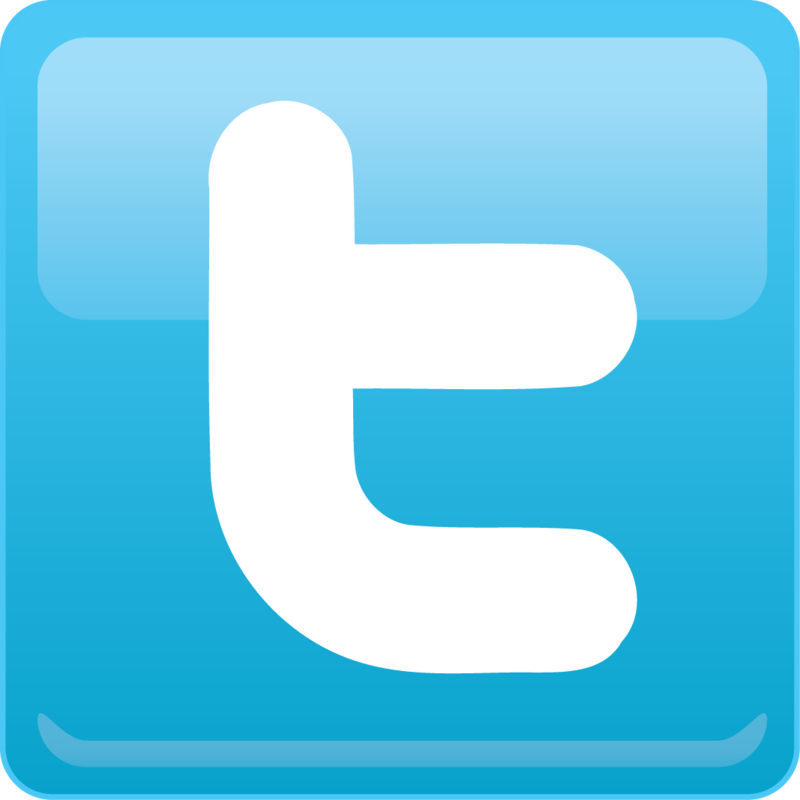 Looking back on the last 12 months, could You tell us Your thoughts on how You will be spending the days leading up to Your abdication? From the end of February to the beginning of March this year, the Empress and I visited Viet Nam. 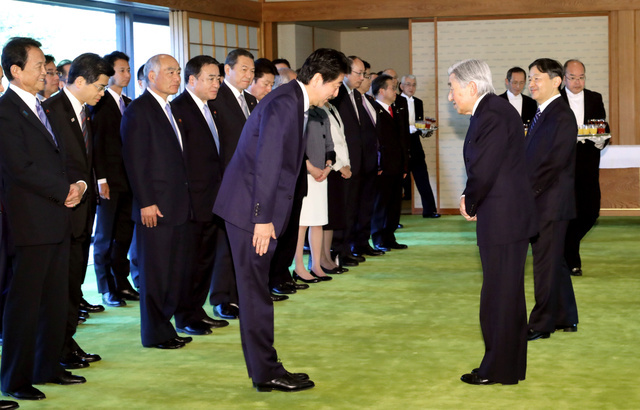 While relations between Japan and Viet Nam have rapidly progressed in recent years, and many Vietnamese dignitaries, including two Presidents, have visited Japan, this was our first time to visit Viet Nam. In Viet Nam, we received the gracious welcome of the current President and the First Lady and three other leaders of the country. We were also warmly welcomed by the people of Viet Nam. This allowed me to reflect deeply on the close ties between our two countries. In Hanoi, we had the opportunity to meet some of the Vietnamese families of quite a few former Japanese soldiers who had remained in Viet Nam after the end of World War II and fought alongside the Vietnamese people in their war for independence from France. After the independence of Viet Nam, those former soldiers were advised to return to Japan and forced to leave the country, reluctantly parting with their families, and the families left behind in Viet Nam endured numerous hardships. I was deeply moved to learn that even under those circumstances, warm exchange has continued over the years between those Vietnamese families and a number of Japanese families the former soldiers formed in Japan after their return. Our stay in Hanoi was followed by a visit to the ancient city of Hue, where one of our destinations was a memorial house dedicated to Phan Boi Chau, the pioneer of Vietnamese independence movement, who had at one time resided in Japan to seek Japan’s assistance. Here was yet another chapter from the history of the various exchanges between Vietnam and Japan. It is my hope that the friendly relations between our two countries will continue to develop further in the future. After our stay in Viet Nam, we visited Thailand to bid farewell to the late King of Thailand, King Bhumibol Adulyadej, who passed away in October last year. I recalled with fondness our many years of friendship as I paid my final respects to the late King. Sadly, this has been another year in which many natural disasters occurred. Most notably in July, northern Kyushu was struck by torrential rains of unusual severity and sustained serious damage, including the loss of many lives. 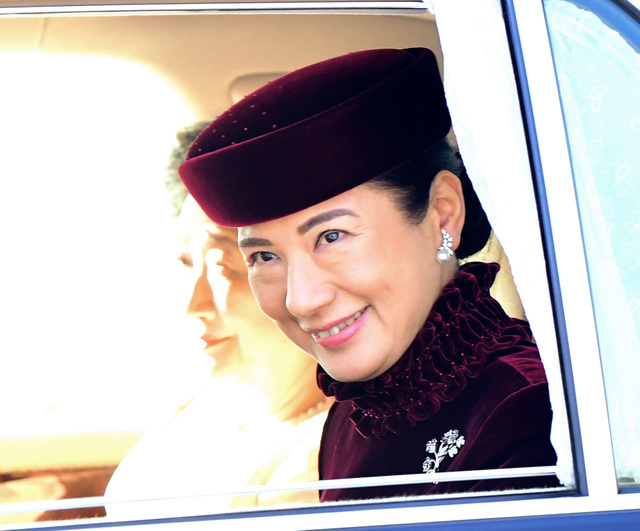 In October, the Empress and I visited the affected cities of Asakura in Fukuoka Prefecture and Hita in Oita Prefecture. The sheer scale of the disaster, which we witnessed during our car ride to Asakura, was such that it made me realize anew how terrifying the power of nature can be. I felt reassured, however, to learn that the people affected by the disaster are steadfastly working hand in hand toward reconstruction, even in the depths of their grief. In November, we visited the island of Yakushima in Kagoshima Prefecture and there met the people of Kuchino-erabujima who had come to see us from their island 12 kilometers to the west of Yakushima, as it was difficult for us to go to the island ourselves. The people of Kuchino-erabujima were forced to make a complete evacuation from the island due to a volcanic eruption which occurred over two and a half years ago. I learned that, thanks in part to their having conducted evacuation drills prior to the eruption, all the residents were fortunately able to evacuate to Yakushima swiftly and safely. I am glad that, with the assistance of the people of Yakushima, the evacuees were able to manage their lives in evacuation and that many of them have now returned to Kuchino-erabujima, where they are gradually returning to their former lives while engaging in reconstruction efforts. Japan is a country blessed with rich nature, but at the same time, our country is under constant threat of natural disasters, and this visit made me realize once again how important it was to be prepared for such disasters and for people to help each other when a disaster unfortunately occurs. Following this visit to Yakushima in November, the Empress and I visited the islands of Okino-erabujima and Yoronjima for the first time. This was a trip that was planned once before for February 2012 but was postponed due to my heart bypass surgery. In addition to experiencing the beautiful nature of these islands, I was heartened by the sight of the islanders nurturing the traditions of each island and making the most of their natural environment in their daily lives. I was delighted to learn that the Island of Okinoshima and Associated Sites in the Munakata Region have been inscribed on the UNESCO World Heritage list this year. On the occasion of our attendance at the National Convention for the Development of an Abundantly Productive Sea, which took place in Fukuoka Prefecture in October, we visited the shrines of Munakata Taisha to offer our prayers and viewed the treasures which were offered to Okinoshima from the 4th to the 9th century. As Okinoshima is situated just between Japan and the Korean Peninsula, rituals were performed there to pray for safe sailing and successful exchange, and I was told that the treasures were articles offered to the shrines at the time of those rites. Prior to that, in September, the Empress and I visited Koma Shrine in the city of Hidaka, Saitama Prefecture. Koma Shrine was built about 1,300 years ago by the people who had come to Japan from the Korean kingdom of Goguryeo and settled in the area. 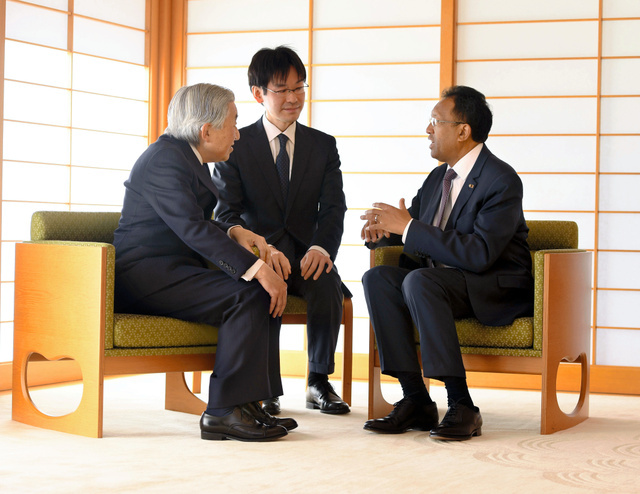 As we were greeted by many people on our visit, I thought back on the long history of our exchanges with East Asia in the course of the history of Japan. The informal announcement of the engagement of Mako, our first grandchild and the older daughter of Prince and Princess Akishino, to Mr. Kei Komuro was made in September. They are to be married in November next year. This gives me much joy, and I pray for their happiness. Regarding my abdication, the date of which was recently set for the end of April 2019, I am truly grateful that numerous people have put their thoughts and efforts into the matter in their respective roles. Over the remaining days, as I continue to carry out my duties as the symbol of the State, I would like to make preparations for passing the torch to the next era, together with the people concerned. 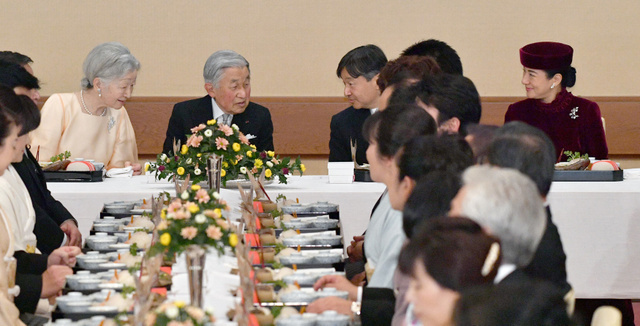 On 21st December, HM Emperor Akihito held the luncheon for the ministers and vice ministers of the Cabinet at Imperial Palace. 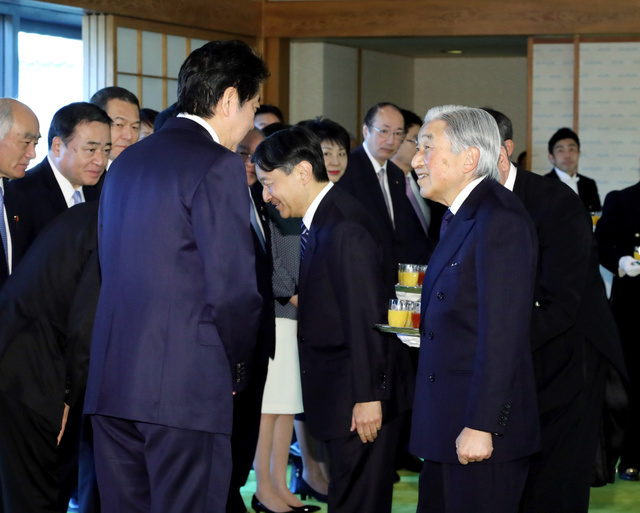 HIH Crown Prince Naruhito also attended the luncheon. 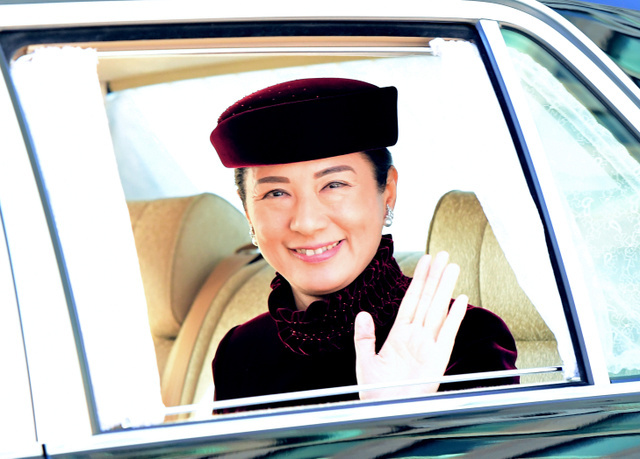 On 9th December, HIH Crown Princess Masako turned 54 years old. 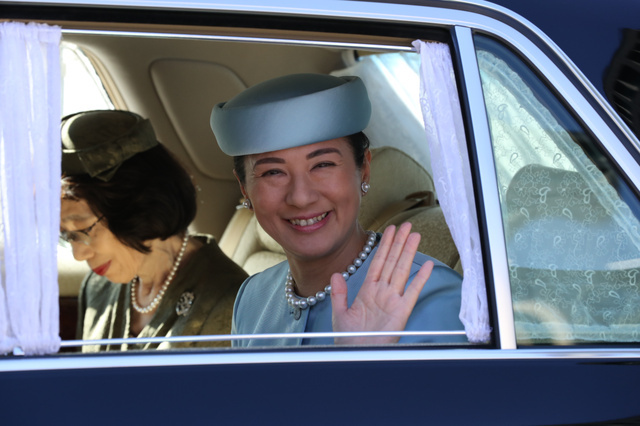 Crown Princess Masako, who has long struggled with depression, vowed on her 54th birthday Saturday to continue efforts to fulfill her duties, as she is now set to become empress in May 2019. 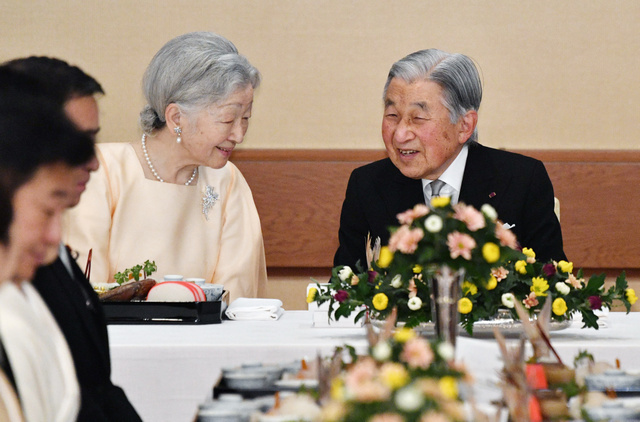 “When I think about the future, I feel a sobering sense of awe,” she said in a statement, referring to Friday’s Cabinet decision finalizing April 30, 2019, as the day Emperor Akihito will relinquish the Chrysanthemum Throne. 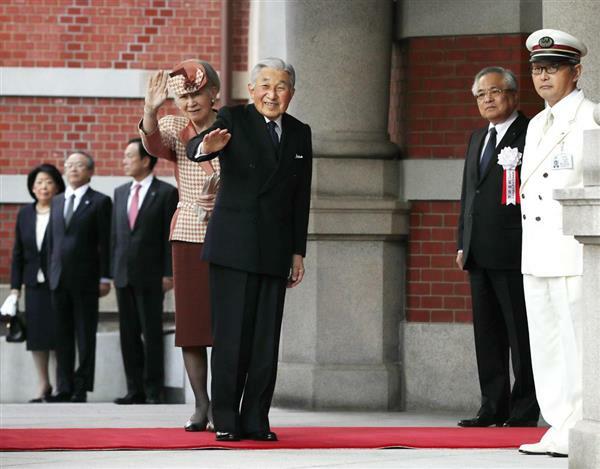 Crown Prince Naruhito, Emperor Akihito’s eldest son, will ascend the throne the next day. 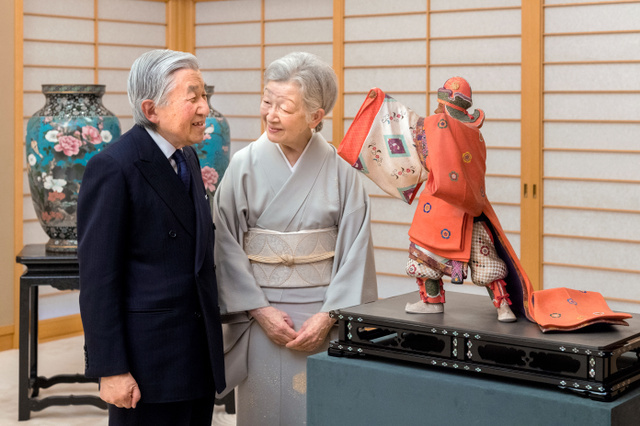 “Following … the Emperor and Empress as my guide, I will step up efforts to be able to fulfill my duties while supporting” my husband, she said. The Harvard- and Oxford-educated former diplomat is still suffering from a stress-related illness but has shown signs of recovery in recent years, appearing in public more frequently. 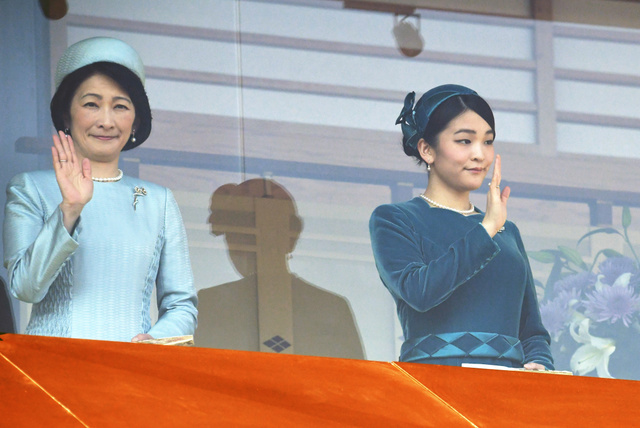 According to the Imperial Household Agency, the Crown Princess took part in 64 public duties and Imperial rites that required her to leave her residence over the past year. That’s the most since 2012, when such data became available. 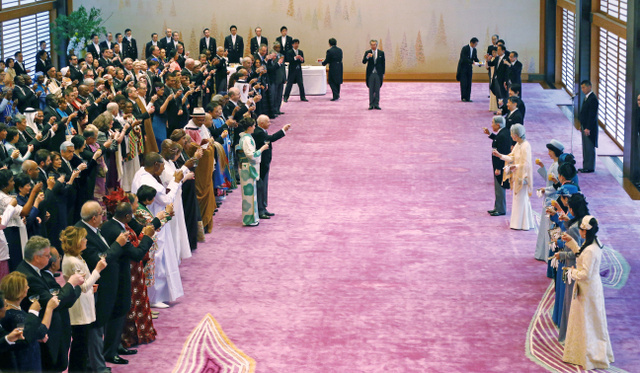 This year, the Crown Princess attended both biannual Imperial garden parties and traveled to regional cities six times. “I am thankful and glad that things that I can perform increased gradually,” she said. 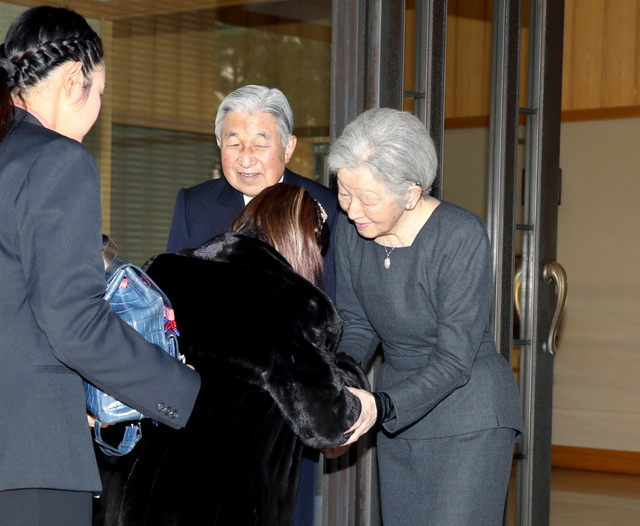 In 2004, the Imperial Household Agency said the Crown Princess was diagnosed with “adjustment disorder.” According to her medical team, she is recovering but still has ups and downs. Noting that excessive expectations could lead to pressure, the team wants the public to understand that attention will likely grow over how she will respond to becoming empress. 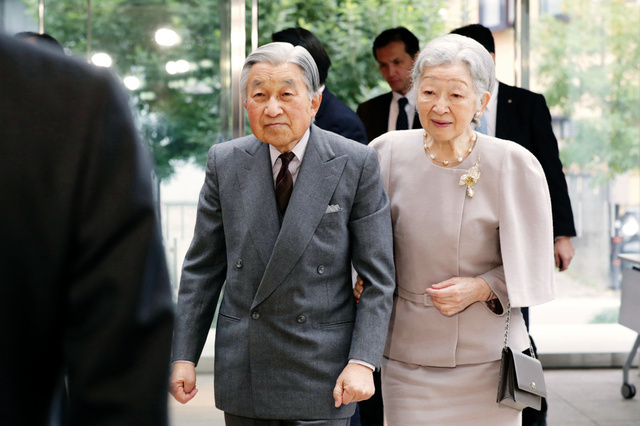 Emperor Akihito, 83, who ascended the throne in 1989, and Empress Michiko, 83, have often traveled to disaster-hit areas to comfort survivors. They have also made trips to World War II battlefields overseas to pay tribute to those who lost their lives. Japan fought the war in the name of Emperor Akhito’s father, Emperor Hirohito, posthumously known as Emperor Showa. “I would like to pay my heartfelt respects and gratitude to the past conduct” of the Imperial Couple, the Crown Princess said. She also said she was “deeply grateful” for the Imperial Couple’s “warm support” and the opportunity to learn from them over the years. 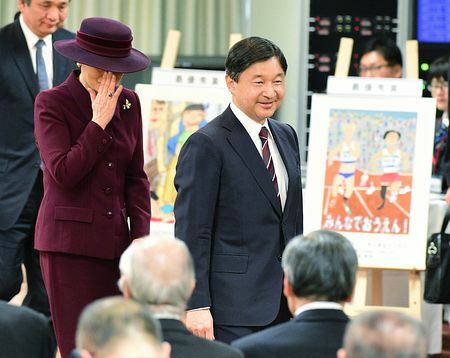 Looking back over the past year, the Crown Princess expressed sympathy for those affected by natural disasters, including the flooding in Kyushu in July, as well as those still enduring hardship caused by the massive March 2011 earthquake and tsunami in Tohoku. 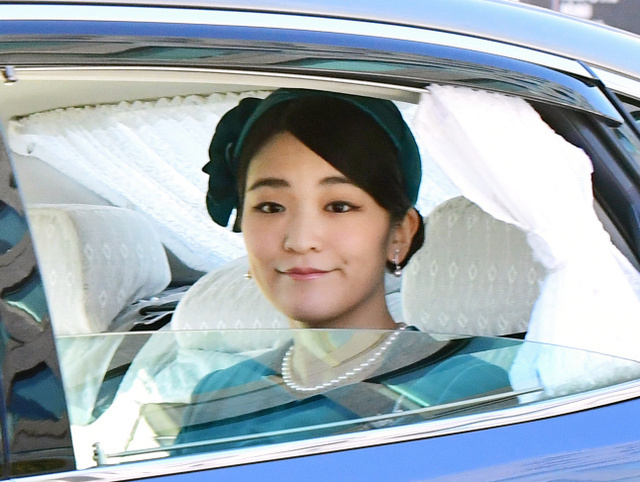 Regarding her only child, Princess Aiko, the Crown Princess said the 16-year-old seems to be enjoying high school with her friends. The Crown Princess gave up a career as a diplomat in 1993 to marry the Crown Prince. 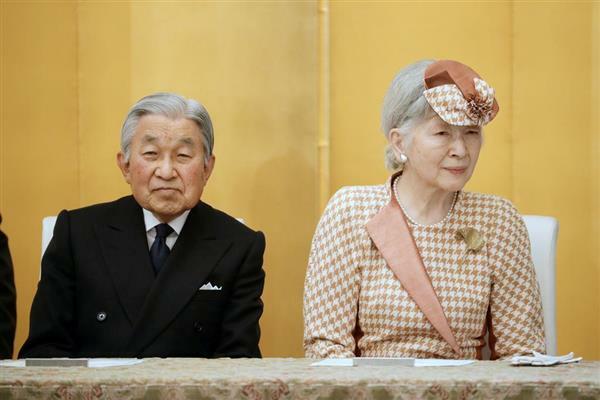 She gave birth to Princess Aiko in 2001 but continued to face pressure to produce a male heir as law stipulates that only males born to the male lineage of the Imperial family can ascend the throne. 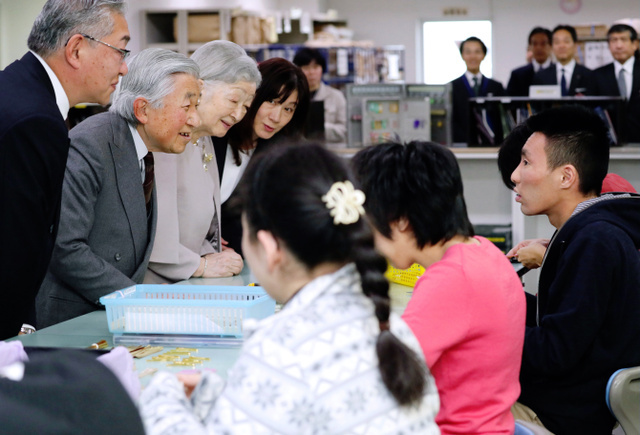 On 8th December, HM Emperor Akihito and HM Empress Michiko visited the facility of employment support for the disabled in Tokyo after the Week for Persons with Disabilities in Japan (3rd December to 9th December). 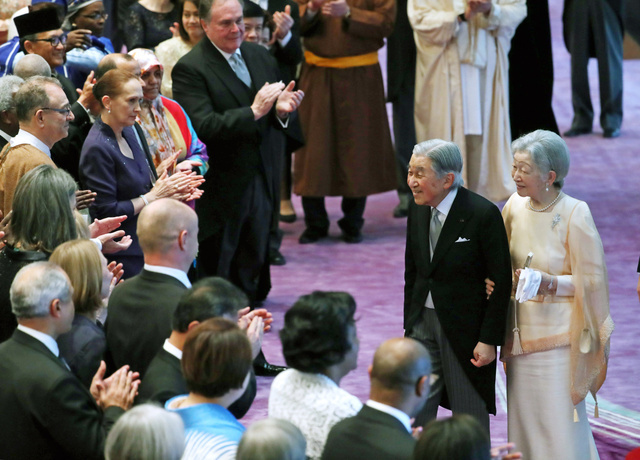 On 7th December, HM Emperor Akihito and HM Empress Michiko attended the ceremony to commemorate the completion of New Square of Tokyo Station took place in Tokyo. 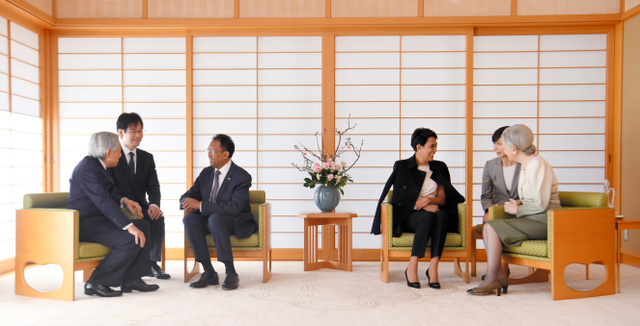 On 6th December, HM Emperor Akihito and HM Empress Michiko met with HE Mr Rakotoarimanana Hery Martial Rajaonarimampianina, President of the Republic of Madagascar and the First Lady at Imperial Residence. 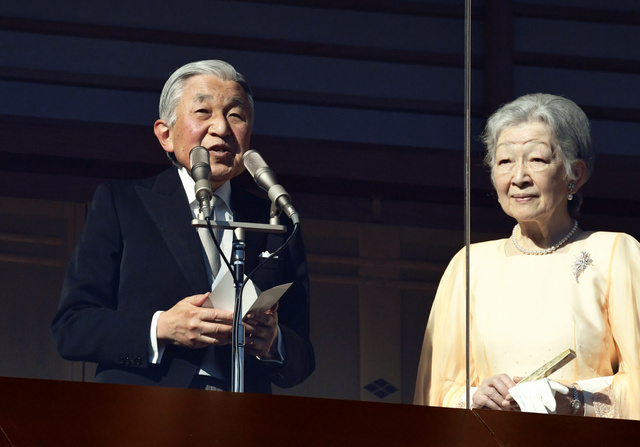 On 5th December, HIH Crown Prince Naruhito and HIH Crown Princess Masako attended the commendation ceremony for supporting the Disabled took place in Tokyo after the Week for Persons with Disabilities in Japan (3rd December to 9th December).